The Barrington School District Board of Education accepted the resignation of Woodland School Principal Mort Argoe during a special action meeting Wednesday night in a split vote. Five board members voted to accept the resignation Argoe submitted after the regular board meeting May 14 (“Principal Argoe resigns from Barrington School District, former mayor says“), while one member voted against accepting it. Two members were absent, and board president Andrew Wood abstained. The resignation comes after an apparent bullying incident at Woodland School that Argoe was accused of mishandling, according to testimony given during the past two meetings. The overall quality of the investigations into the incident has been an issue of extensive debate from the public in both meetings. During Wednesday’s meeting, school board solicitor Mark G. Toscano discussed what he said were misperceptions about Argoe’s resignaton. When he was asked later about Argoe’s record and how it was possible that there were so many incidents from someone who appeared to have no issues before this year, Toscano spoke of an “uptick of incidents” in the current school year. Former board member Larry Laskey noted the shadow of doubt that was over the board and its investigation because of board president Wood’s role in the probe and his apparent friendship with the complainant in the case. When he closed his comments by stating his intention to bring ethics charges against members of the board, many of the several dozen in attendance broke into applause. Laskey’s reference to litigation echoed the board’s own mention of a potential lawsuit when they broke into an unscheduled executive session at the beginning of the meeting. Wood said the board needed to discuss information it had received from the public the night before and mentioned “litigation” before board members left the room for about 30 minutes. When they returned, they made no mention of what took place in the closed session before beginning the public comment session. Thank you Barrington Board of Education you had a tough job and did what you thought was best for the children of Barrington. YOu have the respect of many people in town. I also need to stress that while Mr. Argoe’s departure is unfortunate, it is not the end of Woodland School or Avon (due to harsh feelings towards Mr. Arcodia). We, the parents, have a responsibility to monitor our children’s environment so to say that one man leaving will (in essence) destroy all the good that has come to our schools is silly. One man does not have that kind of power unless it is allowed. The is a sad/unfortunate awakening for all of us and we will rise above it. Remember, at the end of day, it is about the children. Eventually, the reason of Mr. Argoe’s departure will surface but until then WE need to stand united for our children & not tear each other down. What are we teaching our children in doing so? Let’s keep perspective and focus. It will all come to light. I completely agree! All of the negative comments and bashing on this site are all anonymous! At the meeting a former board member stated that in his three years on the board, there was not one single negative issue involving Mort Argoe. I find it hard to believe that there could be multiple damaging incidents so as to call for the resignation of a man who is respected and appreciated by so many members of the community. Unfortunately when the Ethics Committee comes in to investigate and finds that the whole situation was mishandled, Mort will already be gone. Maybe the former board member wasn’t doing their job? I believe the members of the board are intelligent enough to know if they were being bullied. This members are very intelligent individuals. You should give them more credit! Can you tell us who voted for it? who voted against it? and who was absent? Yes – just double-checking to make sure I have that information correct before publishing it. Sorry for the delay. NOTE: The Barrington Bulletin was designed to be an information clearinghouse and a place to discuss issues in the community. Please try to do so in a respectful manner. Remember, we’re all neighbors here. The Solicitor stated ““This is a whole lot bigger and a whole lot more involved than what was spread,” Toscano said. “No one parent did this.” – Mort refused to comment to save his tail – good riddance – obviously, he is hiding things…. If anyone is not pleased with the outcome, run for the Board of Education – go see how easy it is. It is a lot easier to complain that actually do service like this. Make a difference and become active. Nover judge until you walk in someone else’s shoes! Justice!??? We proved last night when we presented letters from the other parents involved that justice was nowhere in sight. If you would like to read the letters, just ask. The solicitor proved last night that he was sent on a witch hunt when he stated he was requested after the bullying incident to review Mr. Argoe’s file. The purpose of which clearly was to find any additional issues to lump on to the bullying incident to create the appearance of a bigger picture. If whatever was found was so big, why were no formal actions taken at those times? Perhaps because they are not so big. Perhaps because no harm resulted to any student, teacher or parent. Anyone who takes the time to talk to Mr. Argoe will find him to be an open book, willing to admit any mistakes that may have been made and to discuss what was done with each one to rectify and satisfy administration’s concerns each and every time. I think that’s what we all want in a principal, or any human being for that matter, to admit when a mistake is made and to do whatever is necessary to be accountable and do better the next time. To quote Maya Angelou, “when we know better we do better.” Mr. Argoe rightfully chose not to comment publicly because he is all too aware of the solicitor’s demeaning manner and ability to use his command of the language to make things sound bigger than they are. And the back and forth that would have ensued would have extended that meeting well into the wee hours of the night. As for the Board, they hold “public” board meetings exactly for the purpose of allowing the public to be heard. No one is judging anyone personally, but we have every right to question the legitimacy of decisions that are made “on our behalf.” I would hope that when one runs for public office, it is done with a skin thick enough to handle that you will never make everyone happy. I would hope that each and every board member considered this before they ran for and accepted the position. But make no mistake, whatever was said in those board meetings should have no effect on the board members’ public lives or the lives of their children. We should all be free to enjoy our personal lives regardless of whatever disagreements we may have in any board room. That’s what it means to be a mature adult. I have no Facebook account and generally prefer to stay away from social media and anonymous comments, as I believe face to face discussions are more personal and effective and are becoming a lost art. Therefore, I have no desire to engage in an anonymous back and forth on this blog. But if you see me on the street, or at the softball field or any other social function, please feel free to engage me in conversation. Justice?!?! for what??? — as many have stated this was not based on any one incident or because of any one person or family…. SOOO JUSTICE! what did you get justice for??? The Solicitor also stated that this “has divided our community” I look at it differently. All different people grouped together in support of Mr Argoe, people who no longer have children in the schools, people who have younger children and people who may have had differences in the past began working together for something and someone that they believed in –(and still do). I also believe people did become active and did make a difference!! I think the board would agree that they are elected to be in the position to listen to the thoughts and concerns of the community. That is what they did. No one person “for or against” can fault the board or hold it against them personally for doing their job. They took the information that they were given and did what they could with it. As you have written “this is a whole lot bigger and a whole lot more involved than what was spread” And maybe we all need to stop and think what could that be??? …Is it an issue where things were all compiled together to serve a “greater” purpose…. Is it that the policies and procedures of investigations are broken in our schools and maybe, just maybe, a thorough investigation in this and possibly other matters were not done…. Is it that Mr. Argoe is a normal human, just like all of us that is passionate about our schools? Maybe he made a mistake or 2 but who hasn’t??? and when we make mistakes and admit our faults doesn’t that make us that much better of a person. Regardless of whether you are a supporter of Mort Argoe or not, we as the Barrington community need to think about how this happened and if anything is broken with our school administration. I think WE all owe it to each other to stand up for what we believe in and to fix things we know to be wrong. Who knows one day the “broken” system may fail you or your child and then how will you feel. Mort continues his silence in public forum – He had every oppurtunity to speak – where is his side of the story? Silence speaks volumes…..It is over, we as a community should now move on. I can’t wait until the lynch mob attacks the new principal. It will be a very hard position to fill just because of the controversy. Just for the record, the State sets these policies all Board’s of Education follow. They require closed sessions to speak of personnel. The State process is broken. Nobody knows what was discussed in those closed sessions or the allegations, just the members and the attorney. It is the way the Sate is run, not the BOE. Lets all work together to improve our schools under the new leader. I don’t believe The Board’s job is that difficult. They are elected to represent us, not to do our thinking for us. They have failed to do their job properly, and therefore have made things more difficult for everyone. 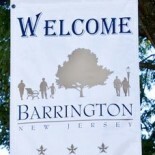 Barrington residents made it clear the majority wanted Mort to stay. Every member of The Board had a responsibility to vote according to the wishes of those who elected them. Now it’s our turn. Let’s get active. Vote every single one of them out of office as soon as we get the chance. Keep voting for new faces in every position of government until they realize the PEOPLE are in charge. I just wanted to clarify the vote….Mr Wood abstained, Mr Manlove and Mrs. McMichael were not in attendance and Mr. Alexander voted No, Mr. Drumm Yes, Mrs Quatrocchi Yes, Mrs. Bowling Yes, Mr. Klopp Yes, Mrs, Shuster Yes 1 no 5 yes. This doe not seem like a split vote like you reported earlier. I think we are robbing Woodland School of a really good thing!!! I have had 1 child go through Woodland and 1 there now. I have had MANY deallings with Mort from IEP issues & bullying to normal discipline for acting up. He has been nothing but professional and respectful to us no matter what side of the issue we were on. My only question is what was or wasn’t done to solve the problem or problems enough for all of the people to be happy? It was stated that this isn’t the only problem… Not from one parent… Well I ask the same question of all… I understand what it feels like as a parent to want to protect your child… That you want the absolute best for them and that you shouldn’t compromise ANYTHING for them but in reality it’s just not possible… Would it have been possible to make people happy when it comes to their child? Do procedures and policies need to be reviewed and amended so we can keep a man like Mr. Argoe in our school? I don’t claim to have all of the answers but it is obvious to me that SOMETHING needs to be done other then get rid of a man like him. I know there are going to be people that disagree with me and that is fine I respect their opinion as I hope they respect mine… Let’s change what has to be changed to make the schools the best they can be for ALL of Barrjngtons children! We gave my Daughter the news that Mr. Argoe would not be back for the rest of the year and probably forever. She cried and asked “why?” We told her we did not know. The Board never anwsered any of our questions or concerns. I, like my daughter, am still asking why! Anonymous & Justice, It is obvious that you have not had many dealings with Mort Argoe…..because if you had, you would realize that sometimes character and leadership comes before policy. As for his silence….again, it is within his character not to cause anymore upset than has already happened within our community. Move on?? Yes we will, because we have no choice….but change WILL come. Yes, this is bigger than one incident…it goes deep inside the depths of narcissism. To make an educated decision you need facts. Not one person writing on this board knows the facts. The board made their decision based on FACTS that they are legally not allowed to talk about. If you knew the FACTS many you wouldn’t be writing on this board. I myself don’t know the facts myself but I do know that I make decisions in my job and my life based on factual information . Please try to take your emotions out of this and understand a decision was made based on FACTS. I stated facts in my response! FACT is I have had many dealings with Mr. Argoe… FACT is he has handled all of his dealings with me in a professional matter… FACT is I feel we are losing a good person in our school system… FACT is I think my son is going to suffer because of all of this! You are right we don’t know all of the facts in this case… But I do feel that if our children are affected by this we should have a right to know… I am not saying that the parents fighting for their child is wrong… Because that is what I feel like I am doing standing up for Mort!! I am fighting for what I feel is best for my child!!! And that too is a FACT! There is only one person that can tell you the facts now since everyone else is not allowed to legally. Ask Mort what really happened. He is the one person who is allowed to tell the truth. I understand that you are upset that you don’t know the facts but there is nothing the board can do about that. Here is the twist to the whole thing, if one of the board members said anything about this case Mort could turn around and sue them. Trust me this man knows wha the is doing. He did the same thing in passed jobs. When it seemed he was going to be asked to leave he would get a group of parents all stirred up and it would cause a split in the town. He has done it again in Barrington. If anyone really knows this person well ask him to tell you what really happen in this instance and in the past. Oh Mike, I’m going to give this one more shot. Do you think the passionate people supporting Mort are honestly doing so without having taken the time to personally speak with him and ask those very questions? Of course not. The question is: have you? or the others who keep saying the same thing?? I repeat — if you had, you would find him to be an open book. But we are not naive. Of course there is the possibility that he could be leaving something out. Which leads me to the next point. If that were the case (and I’m not saying I think it is, and we will all have to accept it and be crushed if it turns out to be the case), then shame on the administration and board and solicitor at the time he was hired, first on an interim basis, and then on a permanent basis. If that turns out to be the case, then clearly they did not do their job in conducting a thorough enough background check and reference check. It seems no matter which side we are on, the answer is the same. The administration is failing. Perhaps the job of superintendent/principal is too big for one man as more and more stringent rules and regulations are being enacted and enforced in this difficult world. It was a noble undertaking, but maybe it’s time to add some additional personnel even if that means sacrificing a bit of his more than comfortable salary. Certainly something to think about. Equally important to me, and even more scary, is what I think so many of you are ignoring. At the heart of all of this is the fact that one parent can decide at any given moment to threaten a lawsuit, and despite the fact that it was proven by the other parents and children involved that the incident was handled effectively and the situation became immediately better, the administration and solicitor cowered to that one unhappy parent. Because shamefully that one unhappy parent will be approached by a plethora of attorneys suddenly “banging down the door” willing to collect a hefty fee to undertake the representation. And once numbers like, oh let’s just pick $1.6 million dollars, start being thrown around…well I think you get the picture. It’s appalling and sickening. And they should have challenged it. And all the passionate people would have stood behind them 100%! It would be so much easier if we could just insist that parents do their jobs in teaching their children about the “real” world. A world where not everyone will get along, where not everyone will “have to be your friend.” There are no guarantees, but do the hard work to help them develop their social skills and instill in them the confidence and self respect they will need to move on to their high school years and beyond to the adult world. Teach them to be tolerant of the differences of others first and foremost. Steer the way and hopefully they will find their true friends. Because the reality is this — rejection and cliques don’t end in middle school. @Lois Weick – you are long winded…grossly ignorant of the laws and naive! AGAIN…it WAS NOT ONE PARENT! If you know so much…how do you know if there are or are not other possible law suits? lol…what makes you think there is ANY law suit? As far as the situation becoming “immediately better” WRONG again. So, I really hope that YOU run for office and are permitted to check out the boards challenge in this matter and the entire scope of any and all allegations. Then maybe you will know the taste of eating crow! Lois- again read what I said FACTS. You saying one person did this is not a fact. It is something you and a small group of people stirred up and in your mind it became the lead story. It is very easy to throw darts at people when they are doing their jobs. Remember the school board is there to do what is best for ALL children and ALL families . They make decisions based on what is best for our children and our town. Can you honestly say they would do something to hurt the kids? I don’t and I bet most parents would agree with me. We are lucky to have some very qualified and intelligent people on the board. I for one trust that they are doing what is best for our children not what is best for Mort. ALL – Please re-read my last post more thoroughly. I did not mention the current school board ONCE, so please stop saying I am criticizing them. FACT: The school board has to depend on the information given to them by the administration (i.e., superintendent). I actually do believe the school board did the best they could with the information given to them. But the FACT is they are only given what the superintendent wants them to have. FACT: The threatening of the lawsuit and details I mentioned are FACT. Go talk to your superintendent. You have the right. And until you do, you have no reason to question whether what I am saying is FACT. FACT: That “small group of people” have done a lot of homework (i.e, FACT finding) and we will continue to do so until we get to the bottom of this mess. And we WILL work towards a solution for the future. Sorry if I am “long winded” but I give these posts careful thought. I don’t just bang something out in the heat of the moment. Lois – I agree with you, I do not believe the BOE was provided with all the facts. If a former board member stands up and says there was not one single blemish on Mr Argoe’s record for the 3 prior years, there would be serious doubt that his performance would significantly drop especially since no one has heard any complaints except for this one incident. I believe if you look at one’s record, you can make mountains out of molehills and I believe that is what has been done to try to justify the recommendations of the Superintendent. In the real world if you threaten another person there are consequences, if you spit on another person there are consequences, if you hit another person there are consequences, if you hurt another person there are consequences. No Lois not everyone has to be friends but you cannot attack another person verbally or physically in the real world because there are consequences for your actions. Children need to learn that there are consequences for there actions or lack of actions. YOu can not watch someone bleed to death on the street and not call 911 because there are consequences for ignoring someone that needs help. It’s great that you are such a great parent maybe you can explain to Mr. Argoe that when you do wrong you admit your wrong doing and accept the consequences. Do not blame others and pit a town against each other. Please talk to some other people in town they have their own stories to tell and it may change your opinion of Mr Argoe. I agree with your comment. I think there is more more to this than “meets the eye”. First, do you really believe that Mr. Argoe would tell you if he did something wrong? Secondly, It seems pretty obvious that Mort knew exactly who to put the blame on and how to get the town to support him. It seems that some people are very good at manipulating others to get what they want or need. Also. if Mr. Argoe leaked any names he broke the law. He leaked one incident to some parents to get their support; what about all the other incidents that we do not know about. Why didn’t he leak them because it wouldn’t have helped his agenda. The board knows all the facts! They based their action on all of the facts! Therefore, I believe that are doing what is best for the future of Woodland school. Let’s stop attacking others and work to make Woodland the best school it can be. Could you please stop sending nasty emails about the Board and Mr. Arcodia to staff at their barringtonschools.net email addresses? Of course you have a right to email, write, blog whatever you would like, but please save the attacks for personal email accounts and do it on your own personal time. It puts the staff in an unfair position. I couldn’t agree with you more. It is very sad that some children are now receiving some of these emails. Please check your email list and make sure these emails are not going to children. I personally would be very upset if my child received any of these emails especially the one that was sent to Mr. Arcodia and some of the staff. Wow! That is horrible that the remarks are going to the schools’ website. Parents we are suppose to be our children’s role models! That is horrible! Anonymous…you need to stop. Your vicious remarks only serve to discredit your point of view. Seriously that comment was not necessary. What a great way to “dumb down” a serious issue. Barrington Bulletin, I can not believe you permitted “Anonymous'” message about a contributor needing medication onto your board. I just began following this site, but if you are going to allow such immature vicious attacks to be posted, then you have lost credibility (as he or she has) and I will no longer subscribe. You are correct. The comment should never have been on the site. As I mentioned in another reply, there are some aspects of WordPress — the content management system behind the Bulletin — that don’t make much sense. I’d prefer not to turn off all comments because one individual has gone way overboard (and some others have gone somewhat overboard). We’ll see if it becomes necessary. That said, I hope you continue to continue to enjoy the Bulletin. To clarify, I said “APPEAR to be”, not IS. Her own personal attacks and vicious words (“Grossly ignorant”, “you are a 100 % liar”, etc.) on various Barrington Bulletin sites have to stop or expect people to respond in kind. You can’t have it both ways. I do not wish my attempt at sarcasm to be perceived as anything other than frustration and disgust at the bashing of an honorable man and HIS supporters. And for that, I apologize to any Mort supporters who found it offensive. To the Editor: feel free to remove my comment if you see fit. I’m not trying to shut anyone down or limit anyone’s ability to speak his or her mind. This is clearly a divisive issue that has people upset. I’m hoping this forum allows people to blow off steam rather than causing additional problems. Actually, I think the “anonymous” comments have been very reasonable and fair. Versus the ramblings of a few people that “know Mr. Argoe is an open book because they asked him. Or know he is a great principal because he is approachable and remembered their name? And you wanna talk about vicious, you should read some of the emails. Since when is publicly telling someone they are disturbed not vicious?! And I have read the emails. Everyone has a perspective on this. Whether right or wrong…the comments have gone in an unacceptable direction. But publicly calling someone a narcissist is acceptable? That’s interesting. I’m done, it’s too nice of a day to spend it arguing. It seems a little odd to me that those who have supported Mort Argoe are willing to tell us all who they are, while those arguing to the contrary don’t seem to have names. For what reason do they not want their opinions attached to themselves. Also, to the Barrington Bulletin; Although it seems to have been removed, a nasty personal attack from anonymous to another poster was allowed to pass through moderation, yet a MUCH milder reply from me to anonymous was never allowed on the site. Some may see an implication of a personal relationship. I simply ask that the Barrington Bulletin not become just another news source operating on bias. The Bulletin is good for our community. Please keep it that way. Mike: I’m trying to keep all personal attacks out of the comments. The system used by the Bulletin — WordPress — seems to allow some comments through immediately while others require moderation. (Your earlier comment, for example, required moderation — while this one I’m replying to did not.) Either way, the one you’re talking about should never have been on the site. I’m hoping to be able to avoid moderating all comments to allow for a free exchange of ideas. We’ll see if that’s possible. Maybe people don’t put their names on here because people get nasty and then target them. Did u ever think that could be a possibility? Yes. I know that is why I don’t say my name. It’s no one’s business. I don’t insult or get nasty. I just speak my mind. You knowing my name shouldn’t matter. Please refrain from personal attacks in this forum. This is designed to be a place to exchange ideas … and there certainly will be people who disagree over ideas. But when people start attacking other individuals — especially by name — that is not acceptable for a public forum. The goal is to make this as free and open as possible. Please work together to keep it that way. Everyone is entitled to their own opinions but no one should be threatening other people or calling them names. Some of the emails going around are not appropriate to be sending to children. Think twice before you send something that is inappropriate and check who you are replying to when you hit reply to all. The Board and Mr Arcodia could have taken the easy way out and let Mr. Argoe finish out the year but instead they chose to do the exact opposite. Why? Do you really think they wanted all of this backlash. There has to be more to this than meets the eye. So agree with this post and I am not on any side. I look forward to hearing what exactly happened in the near future because there is more to this than one child/parent. I believe barrington has right to fight for what they believe in. We all pay taxes and most of us vote so this should be important to everyone. 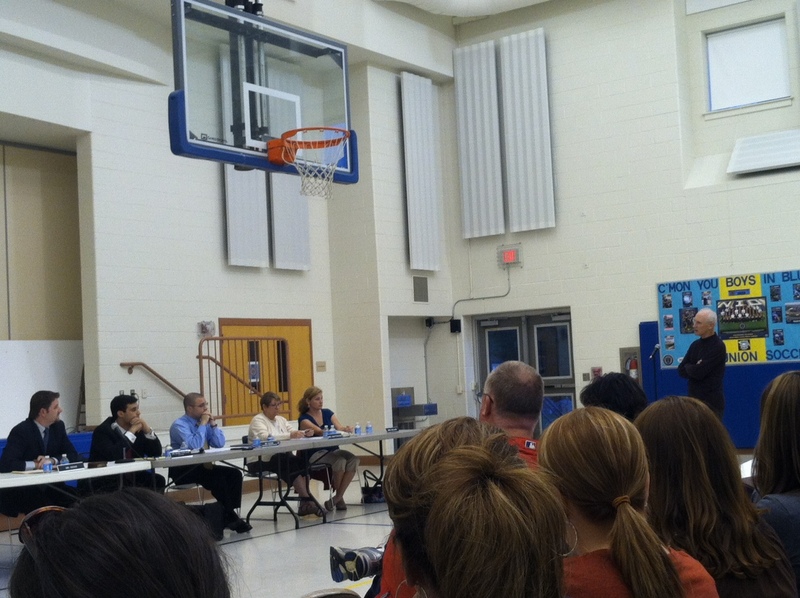 I learned alot going to these meetings and it seems to me both schools need to be fixed. We are paying alot of money for people not to do a great job. I think if parents acted the right way maybe they would get more respect. All children should have the same rules maybe that would solve some issues moving forward. From what i am getting out of this i believe both schools need to clean house and maybe some board members. I believe some issue will come out down the line and i think people will be shocked. I really dont believe it will be with woodlands principal. Parent stood up and tolled the true story what happened and she looked very upset and didnt feel she was making this up. It should of never gotten this far and i believe people did have a choice they just didnt do the right thing. This entry was posted on May 23, 2012 by Barrington Bulletin in Schools and tagged argoe, board, bullying, mort, principal, resign, resignation, resigned, school, school board, woodland.